The Election Commission is set to issue the notification for the first of the seven-phase Lok Sabha polls involving 91 seats spread over 20 states and union territories. Congress General Secretary Priyanka Gandhi Vadra is in Lucknow her three-day trip in Purvanchal titled 'Saanchi Baat'. 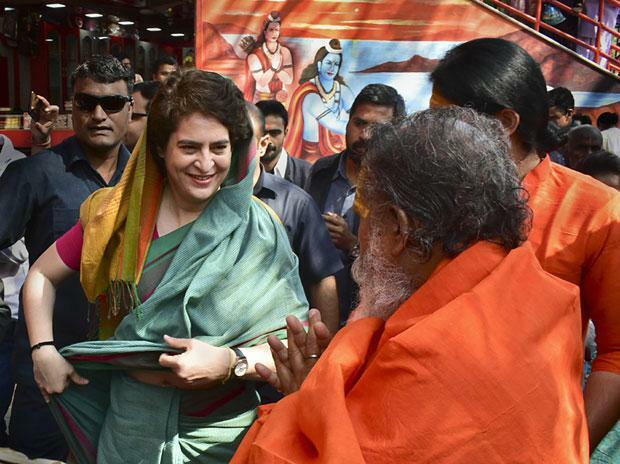 With an aim to connect to the common man, Priyanka's tour has a mix of rides and drives through water and road. The party will declare its list of candidates for 10 of Assam's 14 Lok Sabha seats today. Meanwhile, seat-sharing among constituents of the opposition "Mahagathbandhan" (grand alliance) in Bihar for Lok Sabha polls will be announced today.